There is nothing more frustrating to me at times than being told to “let it go.” I get that crazy punch-them-in-the-face mental flash, then have to remind myself I’m a yogi and repeat ahimsa, non-violence, until I chill out. 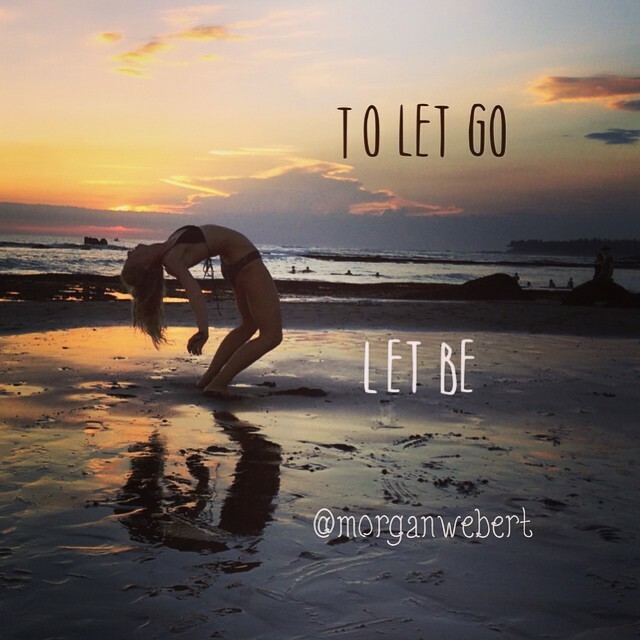 As frustrating as it can be I’m passionate about “letting it go” because I know it’s in the letting go that I find my peace, my healing, my wisdom, inner light, purpose and guidance. I need to start letting go but having a hard time. It’s a process. Just when u think u got it, bam they contact you lol. And it never ever ends well. This piece is great. The first to acceptance is letting go.